The Pharmacology Proficiency Testing (PT) programme has now been granted official Proficiency Testing Provider accreditation according to ISO 17043:2010. This accreditation provides the team with independent verification of the high standard of quality assurance measures implemented to provide proficiency test samples for 13 antimalarial drugs and metabolites. 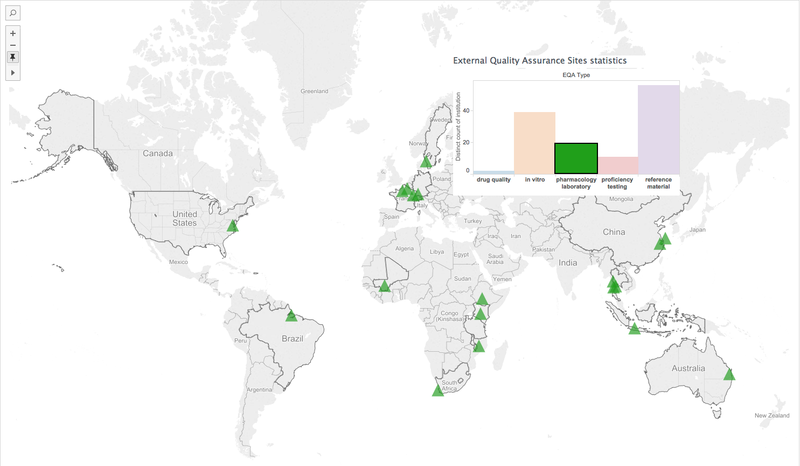 The WWARN Pharmacology Proficiency Testing (PT) Programme assesses the ability of a participating laboratory to quantify malaria drug levels in patient blood samples, resolve any technical problems and achieve lasting improvements. In so doing, they increase the reliability of published antimalarial pharmacokinetic (PK)/pharmacodynamics (PD) data and enable pooled individual patient data analyses, such as those facilitated by WWARN. The QA/QC Unit is seeking accreditation from the Thailand Department of Science Services for the PT scheme to international ISO standard 17043. Fifteen pharmacology laboratories from around the globe have joined the Pharmacology PT scheme (to May 2014). Eleven laboratories have received blinded samples for chloroquine/desethylchloroquine, Dihydroartemisinin/Artesunate, Lumefantrine/debutyl-lumefantrine, Mefloquine/carboxymefloquine, Amodiaquine/desethylamodiaquine, Primaquine/carboxyprimaquine and piperaquine since the scheme was launched in 2010.